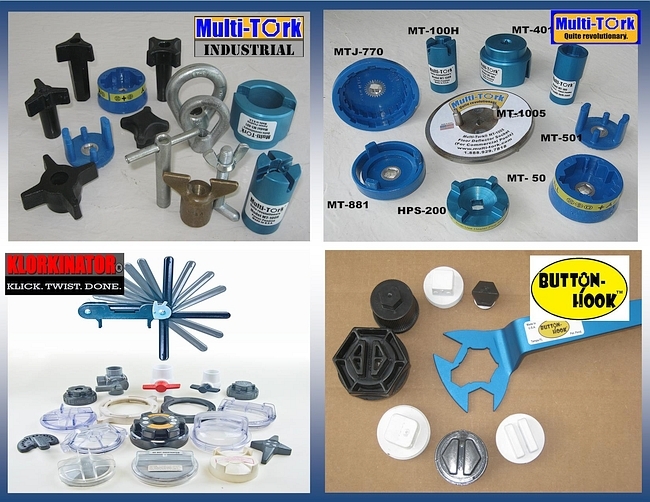 Multi-Tork® Made in the USA. Sold individually and the Money-Saving Value Pack. See: “Contact Us” for pricing, shipping, and account set-up information. © Copyright 2009 Shrkster. All rights. reserved. WINNER! Jim Matthews of JTS Pools, Peru, IL. was one lucky attendee at this year's International Pool Show at the Mandalay Bay Resort in Las Vegas, Nov. 8-12. 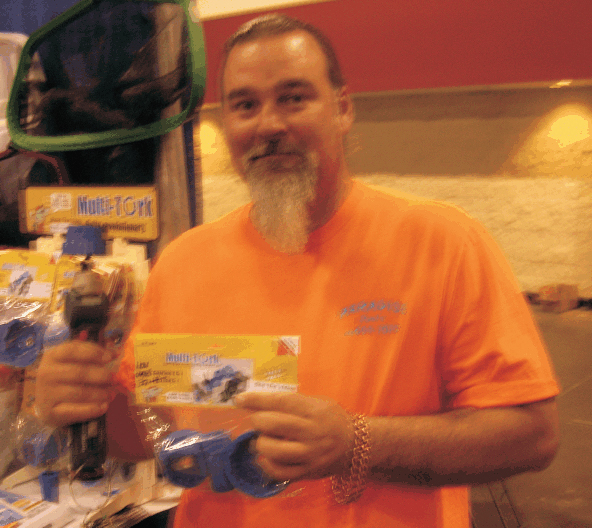 Jim's name was drawn at the Pool Service Products Booth and he won a Craftsman 12V Lithium Impact Drill and Deluxe tool bag. Use them in good health, Pool Brother and Congrats! We have a drawing (a purchase is required to be eligible) for a drill at each and every show, so if you attend any of the regional or national shows where PSP has a booth, stop by and check out some truly innovative, affordable and useful tools and accessories! Big Winner! 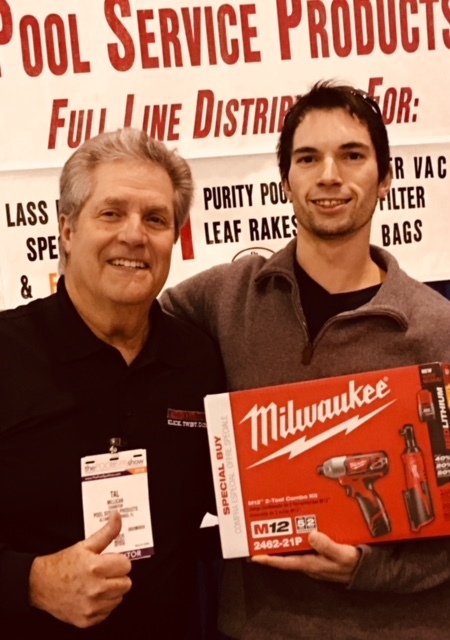 Kyle Levy Of PerfectPoolsCT walked away with the AWESOME Milwaukee drill set at NESPA 2018 in Atlantic City. Kyle also wins big as one of the latest owners of a Multi-Tork Value Pack, a Button-Hook drain plug wrench and a Klorkinator wrench. Get ready, Orlando Pool Show attendees! 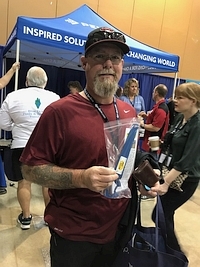 A very wise Pooler picking up a Button-Hook drain plug wrench at the 2018 DesertShow in Phoenix. 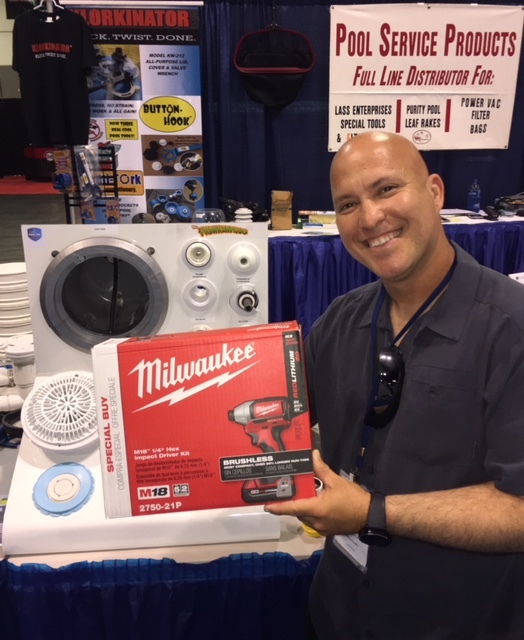 Rubin Lopez of Manta Pool Service, Westin, Fla. takes home the Milwaukee drill set at this year’s 2018 FSPA pool show in Orlando courtesy of the Pool Service Products booth. Congrats, Rubin! WPSS 2018 DRILL WINNERS! 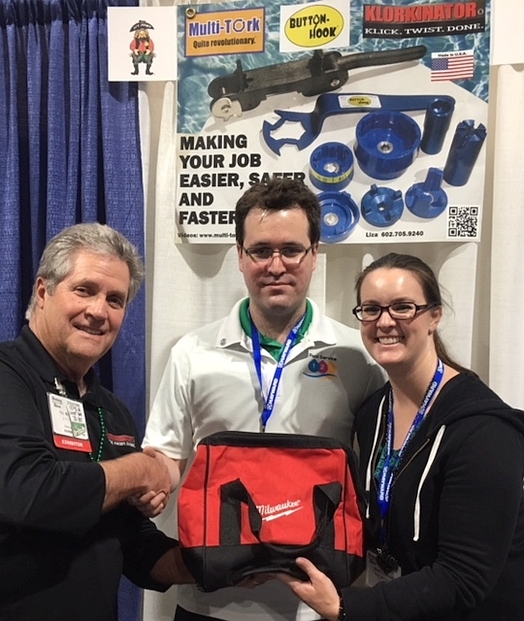 Joseph Astrahan, owner of Pool Service 1-2-3, LLC in Orange CA and business partner and fiancée, Kendra McCann, walked away from the L&L Lines booth with the Milwaukee drill/wrench set along with a $weet deal on a power trio of real cool pools from Multi-Tork. We will see all of you at next year's show. Make sure you bring along a buddy or two who've never been to this awesome event! 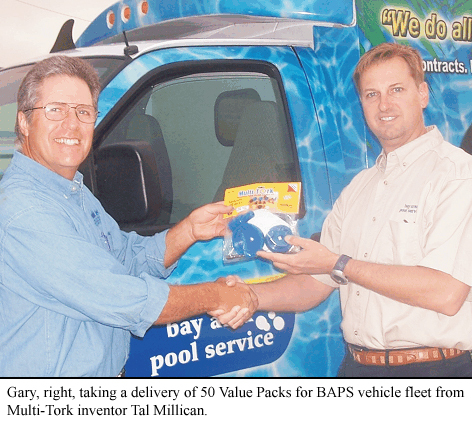 "...Every pool service should be using Multi-Tork..."
"...Luckily, I had Multi-Tork on the truck...you made my day easier!" "...one of the best tools in my toolbag!..." "...Multi-Tork has made my life so much easier..."
"... We look forward to using Multi-Tork tools for many years to come." "...best tool ever!...cannot run my business without it!" 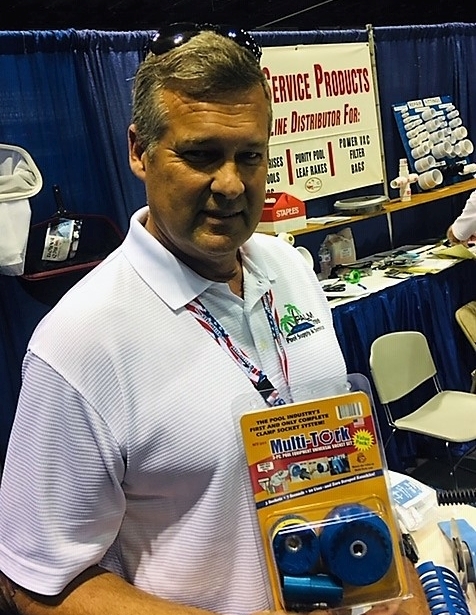 "There's not a pool guy or pool service company out there that should not have Multi-Tork..."
"Every once in a while a truly useful tool is introduced in the pool industry that has significant impact on the way we perform our business. Multi-Tork is most certainly one of these products." "Love the tool! 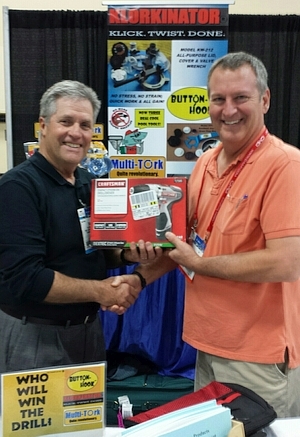 I talk to other IPSSA members about it whenever I can"
"... Multi-Tork is a great tool!... one of the best things I ever bought for my pool service!" 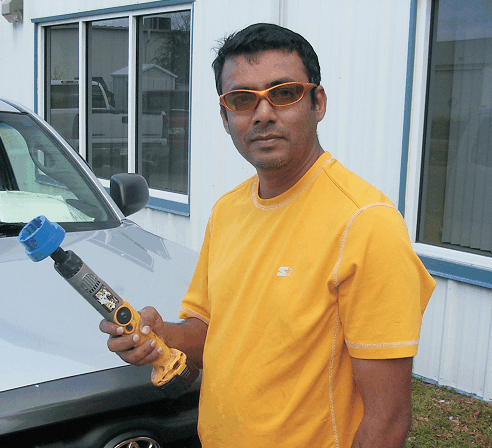 "My employees love Multi-Tork; they won't work without them". "...We have six of 'em. My guys love Multi-Tork. It's a great product!" 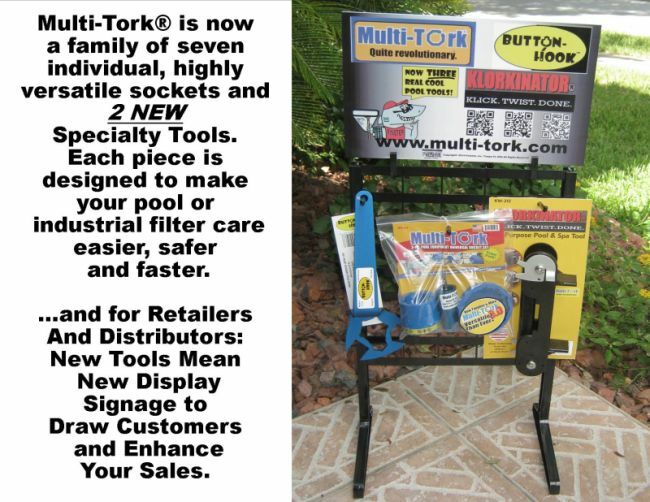 "... Multi-Tork is a 'MUST-HAVE' for every pool service tool box!" "I borrowed Multi-Tork from my dad and just had to have one of my own!" "We have found that Multi-Tork is saving us as much as 10 minutes per service call. This allows us at least one, but sometimes two or more additional service calls per day making each day more profitable." 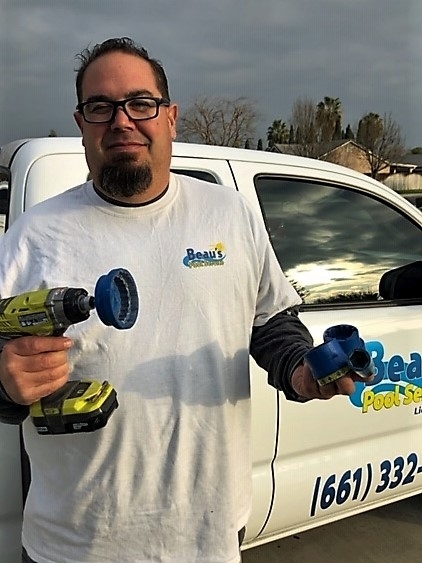 SEND US AN IMAGE OF YOURSELF WITH YOUR NAME, THE NAME OF YOUR POOL SERVICE, YOUR CITY, STATE AND A GOOD THING TO SAY ABOUT YOUR MULTI-TORK TOOLS. IF WE USE IT HERE, WE'LL SEND YOU A REALLY COOL FREE MULTI-TORK T-SHIRT OR BALL CAP!